A compelling slice of Canadian funk from the late 70s – a group and album who were inspired by the righteous power of James Brown's famous Payback album – but who come across here with a warmer, clubbier feel overall! There's a nice degree of boogie in the mix, but the overall approach is definitely funk – with bumping basslines underneath tight horns, including plenty of sweet Fred Wesley-styled trombone. Yet other club elements come into the mix too – keyboards and a bit of strings at times, which warm things up nicely alongside the tighter bottom rhythms – but always in a way that's still relatively funky overall. 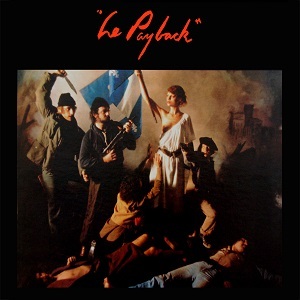 Most cuts have an instrumental focus – but there's also female chorus vocals on a number of tracks too – and titles include "Le Payback", "Struttin", "Feelin Good", "Funky Feelin", "The Forge", and "The Mad Mechanic".